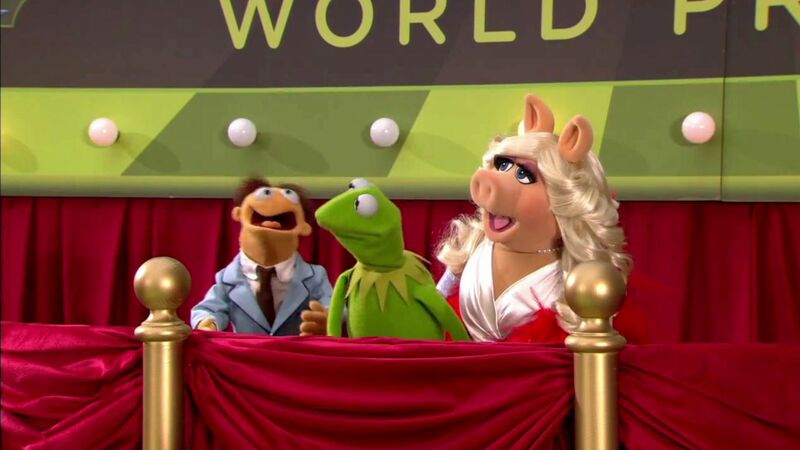 Kermit the Frog: Well, we are thrilled to be here at the World Premiere of our brand new movie The Muppets. Yes. Miss Piggy: oh, it's very exciting! We're just outside of the El Cap on the green carpet. And boy are we excited. Yeah buddy! I can't wait. Well, the movie is called The Muppets and we are them. That makes it pretty exciting. Walter: That's why it's called The Muppets. That's why we are so excited. This friend right here, this is Walter. Walter is new with us. He has just joined us as of the movie. Yeah, and if you see the movie, you'll understand why I'm here. That's right. And of course this is the lovely and talented and beautiful Miss Piggy. Miss Piggy: Well, you know, I'm so happy to be here. And I'm so happy to bring my glamor to this this festification. I mean Hollywood hasn't really been the same until today. This very day.